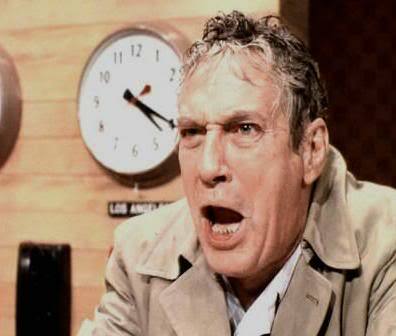 The infamous line in the movie Network is often used to describe our hectic lives. How many of us have ever felt the pressures of life? Let’s not fool ourselves. We live in a fallen world surrounded by everyday troubles and stresses. #1. You and I are going to have problems. Here we have Paul, who wrote the majority of the New Testament and having and facing problems in his life. Paul not only describes the types of problems and stresses we all face, but how to overcome them at the same time. A. I’m PRESSED but not CRUSHED! Paul is telling us we are “hard pressed on every side.” This is the PRESSURE OF THE WORLD. But, I am NOT crushed – Why? 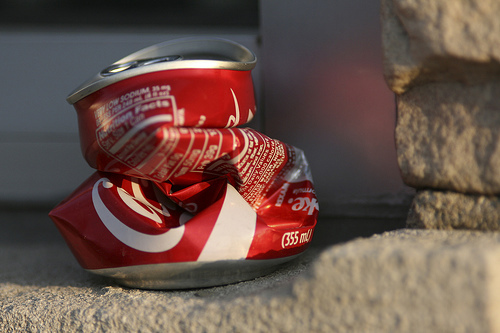 TWO ALUMINUM POP CANS – One can is unopened and full of soda pop. The other can is opened and empty. If I take the FIRST CAN and squeeze with all my might, I can’t crush it. Now, I know that with enough pressure the can will rupture, so bear with me in this. If I take the EMPTY CAN and apply only a small amount of pressure, it will collapse. 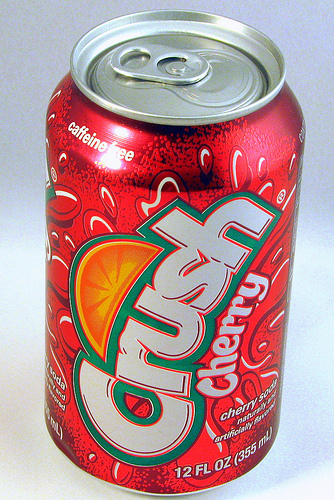 I wasn’t able to crush the first can because it isn’t open to the world. SECONDLY, there is something inside. “He Who lives in you is greater (mightier) than he who is in the world” (1 John 4:4). 1.) Was open to the world. 2.) There was nothing on the inside. How then can we be PRESSED but not CRUSHED? We make a decision not to open up to the world; to allow Christ Jesus to be our strength. Have you ever been confused? Not knowing where to turn or what to do? Yes, we have all dealt with circumstances in life where we thought there was no way out. So how is it that we can be “at a mental loss” and not FREAK OUT saying, “I’m not going to take this anymore!”? Same reason as before: IT IS CHRIST WITHIN ME! He knows what tomorrow holds! The reason I’m not freaking out is because I know God is going to work it all out for my good. “And we know that God causes EVERYTHING to work together for the good of those who LOVE GOD and are called according to His purpose of them” (Romans 8:28 NLT–capitalized for emphasis). God might be working you right now, but He’s working you for your own good. TRUST in His promises. C. I’m Bloody, Not Broken. If you get smacked in the nose, it hurts! Your eyes well up with TEARS dealing with real pain. I remember playing baseball in High School one year, and while in the batter’s box waiting for the pitch, I was struck between the eyes with a fastball. It broke the safety-glasses I was wearing in half. No blood, but suffered two black eyes and plenty of tears from the pain. In LIFE, we all deal with hurts, wounds and yes, even black eyes. It may come from our PAST or PRESENT situations. How then, can we deal with our HURTS and still PRESS forward? Allow Christ to manifest Himself in your life through the Word of God. Build up RELATIONSHIPS of other brothers and sisters in Christ which helps us through our tough times. Sometimes we just need someone with skin on them to comfort us in a time of need (2 Corinthians 1:3-4). D. I’m Knocked Down, Not Knocked Out! Yes, sometimes we do get knocked down; hit in the gut by betrayal, death of a loved one, loss of finances…the wind is knock completely out of us as we lie gasping for breath and afraid to get back up on our feet. FEAR of being hit again can keep you down. DOUBT can keep you down. The only person keeping you on the mat…IS YOU! Why cant the DEVIL keep me down? Because Christ is in me. The devil and every demon in hell couldn’t keep Him down! “Behold! I have given you authority and power to trample upon serpents and scorpions, and [physical and mental strength and ability] over ALL the power that the enemy [possesses]; and NOTHING shall in any way harm you” (Luke 10:19 AMP). HOW CAN I ‘KEEP ON, KEEPING ON’, WITHOUT GETTING MAD AT MY REOCCURRING CIRCUMSTANCES? It’s coming to the REALIZATION…it’s not about you. To be a Christian you need to let JESUS, not you, control your life. You have to SUBMIT to Him fully–not half way; not kinda, sorta, BUT fully! This allows Him to flow through you. Remember, you’re going to have problems. There’s no escaping it. “And Jesus said, [You say to Me], If You can do anything? [Why,] ALL things can be (are possible) to him who believes!” (Mark 9:23 AMP).